Microsoft drove out Linux as the platform of choice during the netbook craze, and now the Windows maker is hoping it can do the same to the latest PC upstart, the Chromebook. Back in July, Microsoft announced its intention in this regard by showing off the Hewlett-Packard Stream, an upcoming $199 laptop designed to take on the Chromebook. Slightly more expensive laptops around $249 are also due in the coming months from Acer and Toshiba. 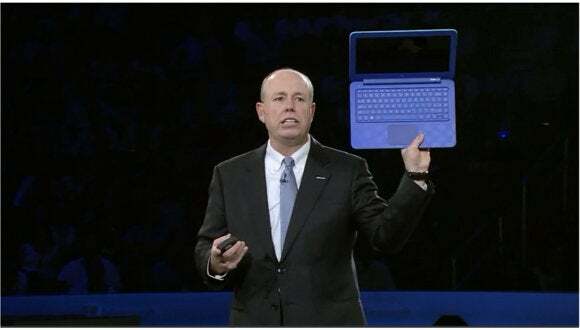 When Microsoft first introduced the HP Stream, little was known about the specs of the device. Now, thanks to a leak via the German-language site Mobile Geeks, we're getting a better idea. 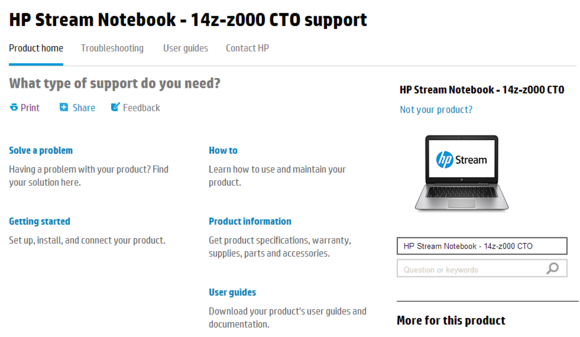 Mobile Geeks got its hands on a purported HP service manual detailing the $199 version of the Stream dubbed the HP Stream 14. It's not clear how Mobile Geeks got the manual, but it looks like HP may have accidentally leaked it as Liliputing found the same information as Mobile Geeks on HP's website. Using Google to do a site-specific search on HP.com Tuesday morning uncovered several listings for the Stream 14 including the page above, which is no longer live. The purported Stream 14 appears to be a beefed-up version of HP's Chromebook 14, which is priced at $279 and debuted in late 2013. The Stream 14 will have the same display specs, RAM, and ports as the Chromebook 14, based on the leak. Where it starts to differ, however, is the processor. Mobile Geeks says the Stream 14 will come packed with a 1.6GHz AMD A4 Micro-6400T quad-core SoC instead of an Intel "Bay Trail" Atom chip. The HP Chromebook 14 came with the 1.4GHz Intel Celeron 2955U. Power consumption for the AMD chip is rated at 4.5 watts, which is low-power enough to run without a fan. The Stream's 14-inch display features 1366-by-768 resolution, which was the norm on laptops several years ago and is popular on Chromebooks and business laptops. For RAM, you get the same non-expandable 2GB as the Chromebook 14. Since it's a traditional desktop PC, the Stream will come with slightly more onboard storage, with 32GB and 64GB options compared to the Chromebook 14's 16GB. Based on the leak, the Stream would also have a 720p webcam, four speakers with Beats audio, Wi-Fi, Bluetooth 4.0, an SD card reader, HDMI out, one USB 3.0 port, two USB 2.0 ports, and a 2960mAh battery. The device weighs-in around 3.86 pounds. In an appeal to the Chromebook crowd, the Stream also reportedly comes with 100GB of OneDrive storage free for two years. Google offers 100GB of free Google Drive cloud storage with Chromebooks. Coincidence? Probably not. According to the data sheet Mobile Geeks posted, the HP Stream comes loaded with Windows 8.1, but it's likely the laptop will have Windows 8.1 with Bing—the only difference being that the special Bing edition of 8.1 has Microsoft's search engine set as the default in Internet Explorer. Windows 8.1 with Bing is available only to device makers and is meant for low-cost devices. The Stream 14 sounds like an interesting device, and with such an aggressive price it will probably sell quite well. But the big question with the Stream 14 will be how well it runs Windows. Low-end PCs are notorious for being deathly slow, although the onboard storage should help the Stream 14 run faster than hard drive-encumbered netbooks from five years ago. 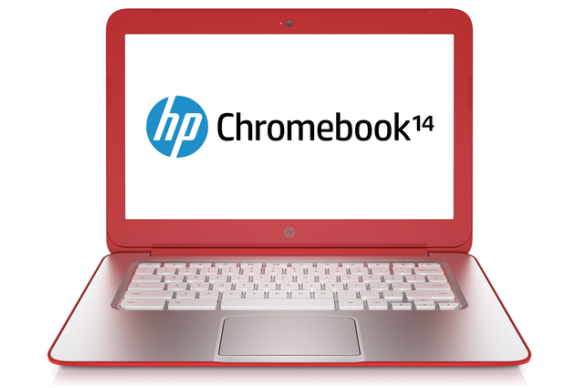 The HP Stream is essentially the Windows-based clone of the HP Chromebook 14. But if the Stream can't run Windows without stuttering, it will leave users unhappy. Chrome OS, by comparison, was designed to boot quickly. And thanks to the fact that it's little more than the Linux Kernel, a browser, and some drivers, Chrome OS runs very well on low-buck hardware. Chromebook also have an advantage over Windows in terms of security thanks to process sandboxing, verified boot checks, and the Web security features built into Chrome itself. You never have to worry about security on a Chromebook—no AV programs needed, no monthly hard drive scans. Windows, although it also does a hardware check at boot, still requires some kind of antivirus and malware protection. Whether you choose the built-in Windows Defender or a third-party solution, you'll still be dealing with at least a small performance hit on an already limited machine, as the AV solution will eat into the Stream's limited RAM and storage, not to mention the potential tax on the low-end AMD processor. And when it comes to updates, you can't beat automatic updating on Chromebooks that upgrades your system in the background and never interrupts the user, even at boot. Every time you power on a Chromebook, you're ready to use it in mere seconds. Compare that to Microsoft's Patch Tuesday system that nearly always requires a restart and a few minutes of automated "configuration" after the reboot. A Windows desktop does have its advantages over a Chromebook since you can run legacy desktop software, which Chromebooks can't do. But with 32GB of onboard storage in the $200 HP Stream, there's not a ton of room for Windows, third-party software, and any files you want to keep locally instead of in the cloud, such as media files. The HP Stream has yet to get an official release date.